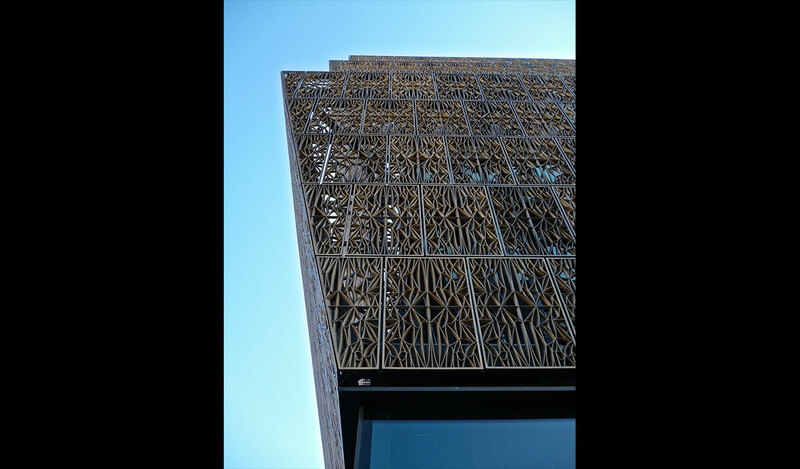 Constructed by Clark Smoot Russell, JV. 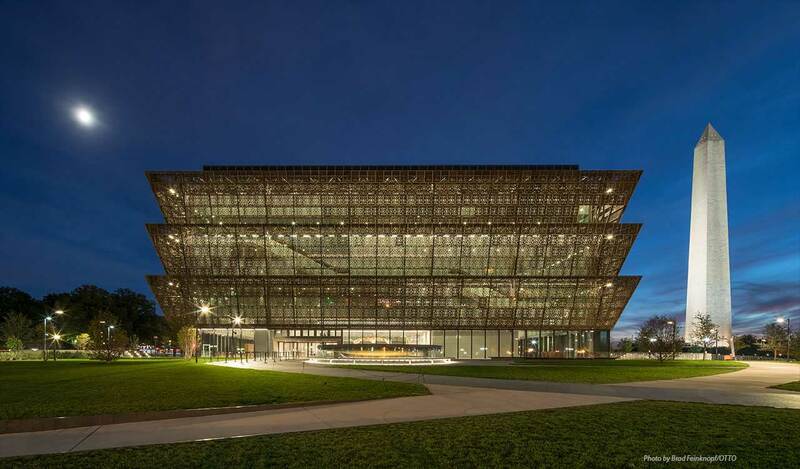 Occupying the last available space on the National Mall, the Smithsonian Institutions’ $540 million National Museum of African American History and Culture (NMAAHC) is situated prominently next to the Washington Monument in Washington D.C. 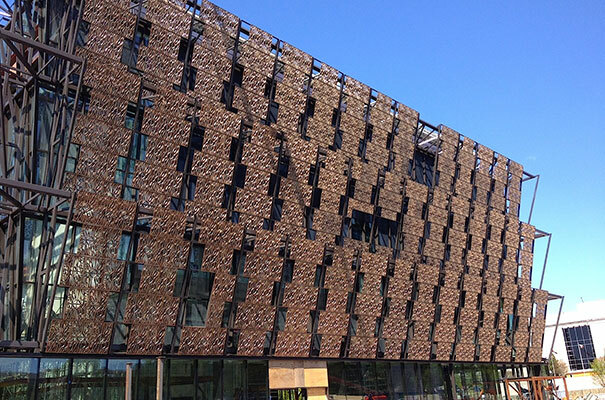 Principally designed by the collaborative efforts of Philip Freelon and David Adjaye this 10-story building (5 above ground and 5 below) has a 3-tiered, crown-shaped exterior called the ‘Corona’. 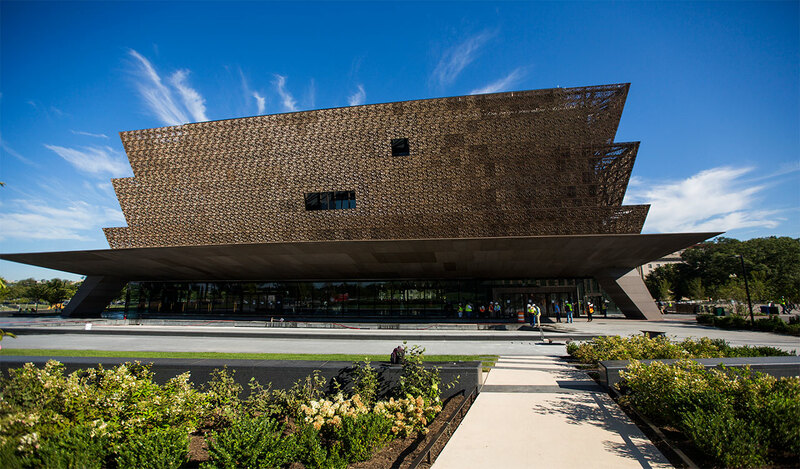 Weighing 230 tons (104,000 kg), the façade system is made up of cast aluminum panels on pre-assembled steel frames suspended from a series of outriggers attached to the building. 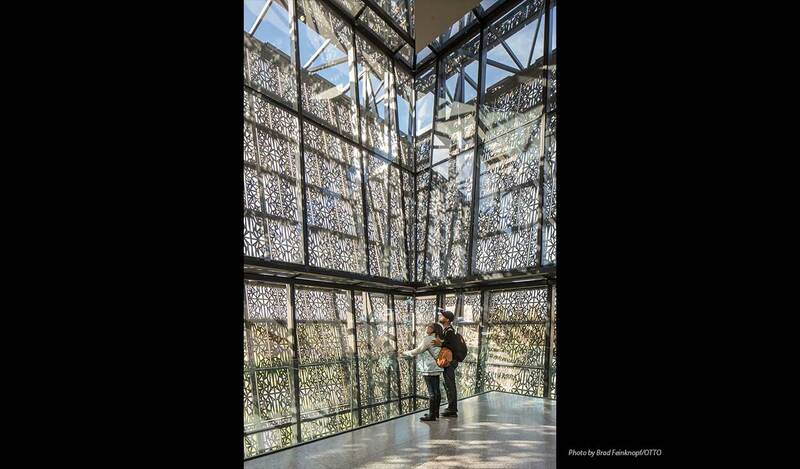 The size of the openings in the intricately woven filigreed patterns of the corona panels vary, giving the panels differing transparencies and thus controlling the light entry to the interior of the building. 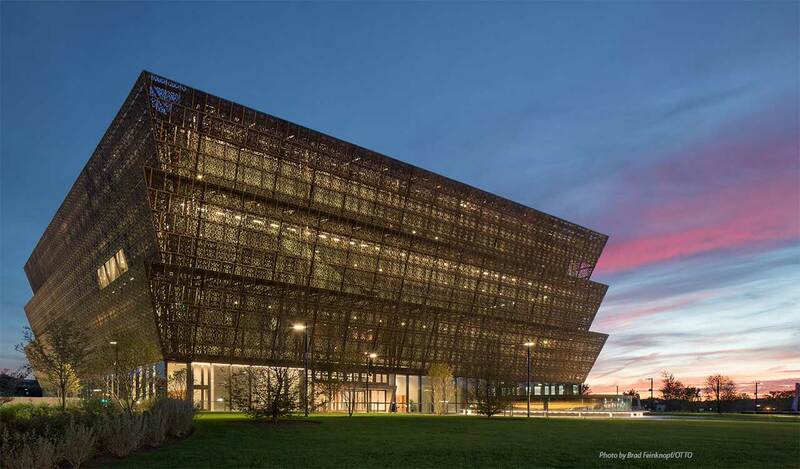 NMAAHC opened to the public on September 24th, 2016. 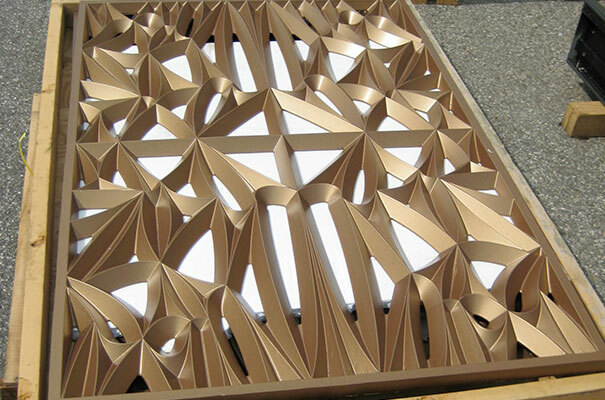 ELEMENT was responsible for the production and shipment of 3,600 cast panels comprising the exterior cladding of the ‘Corona’, all produced, finished and delivered in a specified sequence. 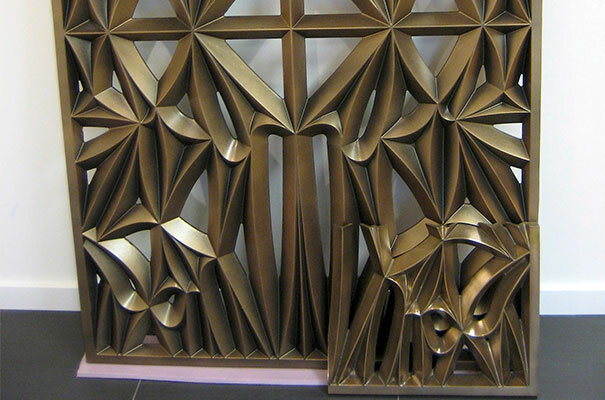 Initially, the Design called for cast bronze Corona panels, however this carried a significant premium in both cost and weight. 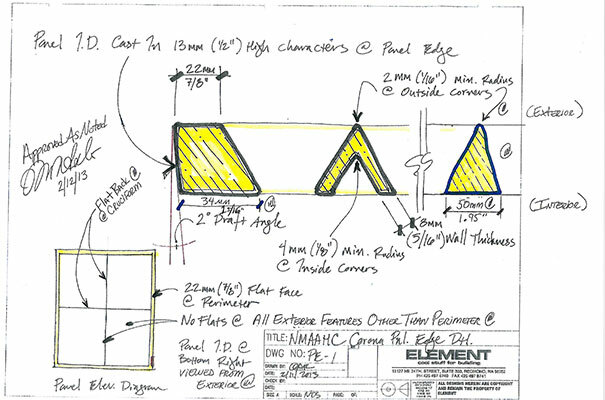 To support a competitive bid by competing construction teams, ELEMENT was tasked with presenting options for a more cost effective solution. 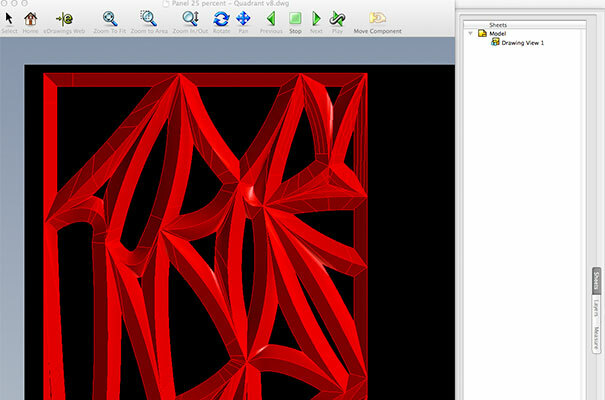 Drawing on resources developed for the aerospace and commercial manufacturing industries, ELEMENT provided an array of options, offering the Design team a variety of solutions while providing substantial cost and weight savings. 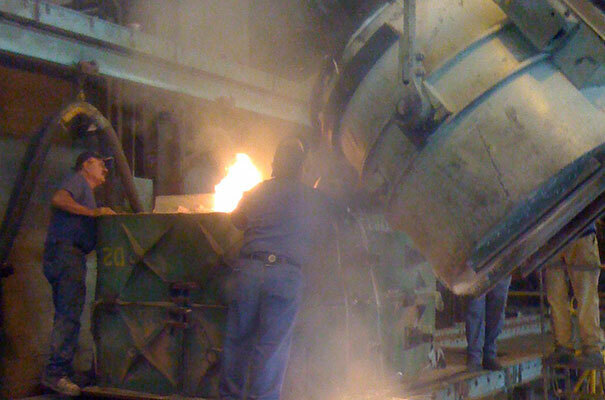 With full-scale samples ranging from stamped sheet metal to alternate cast materials and finish options including flame-sprayed metal coatings, electroplating and high-performance custom metallic paint, ELEMENT found an option that balanced the design with the budget. 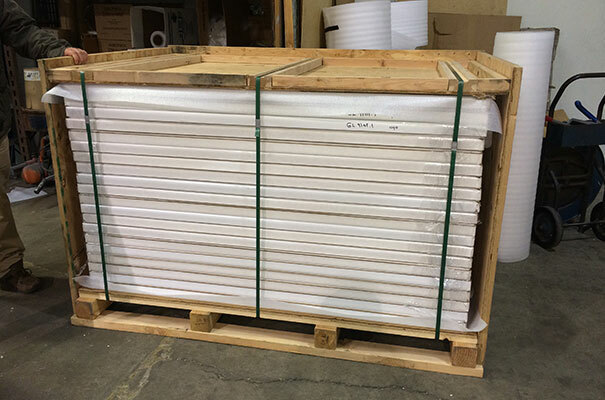 Our solution package was supported by presentation samples that were instrumental in securing the award of the contract. 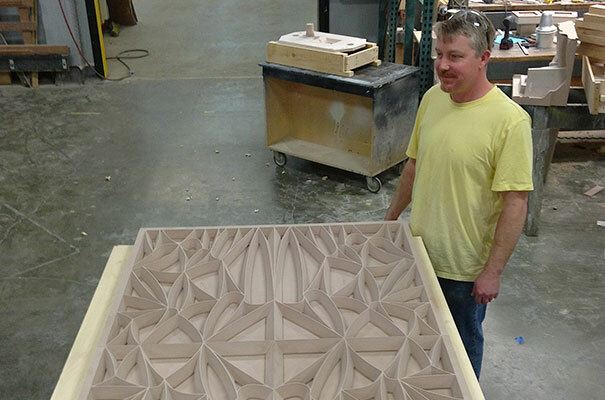 During production, the project faced a major challenge in selecting a finish that met David Adjayes’ design intent. Numerous paint finishes and colors were trialed but none were deemed satisfactory. The original concept specified a bronze Corona panel with a warm patina however the paint colors selected were deemed “putty like” and “visually fell far short of the beautiful poetic intention promised by the concept design”. Even though ELEMENT was not requested to do so, we explored options with paint finishes behind the scenes. 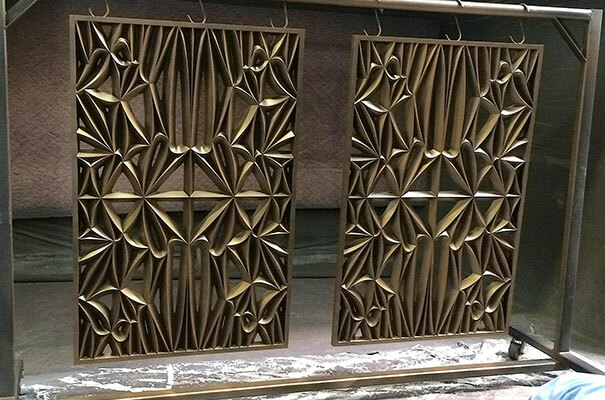 ELEMENT had previously created custom finishes for other projects and we knew that with some effort we could reproduce the warmth and color palette of real bronze. 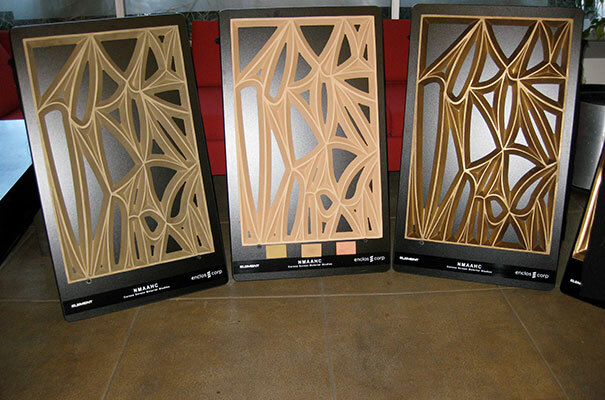 ELEMENT analyzed the color properties of the bronze Corona panel sample provided by the client and devised a method for reproducing this by creating and refining a color scheme and application methodology that mimicked the bronze look. After producing numerous samples and experimenting with different application techniques we produced a custom artisan finish very close to real bronze. Colors such as African Rose, African Dawn and African Sunset were some of the numerous shades and pigments created. A custom artisan pigmented clear coat was also added to introduce warmth and depth at certain viewing angles, mimicking the flashes of warm tones observed on the bronze Corona panel sample. 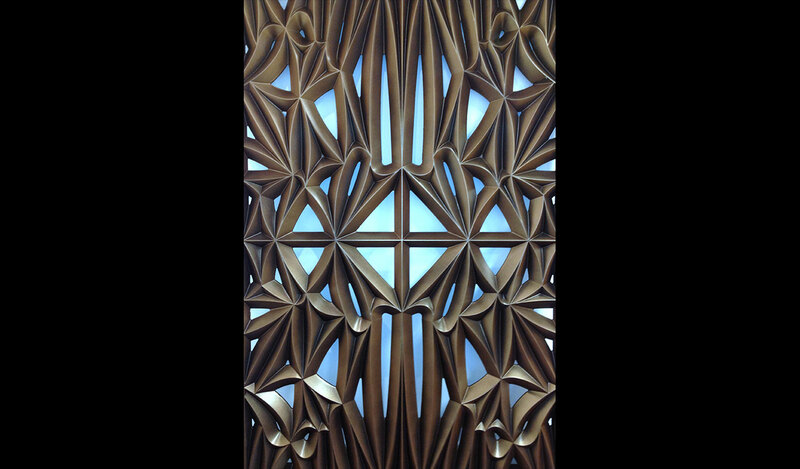 Photographs of this custom artisan finish were sent to the Construction team and after review by the Contractor, the Smithsonian, the Consultants and the Commission of Fine Arts, a full size panel was shipped for inspection. Further development of the custom artisan finish was undertaken to fine-tune the hue and shade to meet the preferences of the team. The final version of the custom artisan finish was applied to all 3600 panels by ELEMENTs paint applicator. 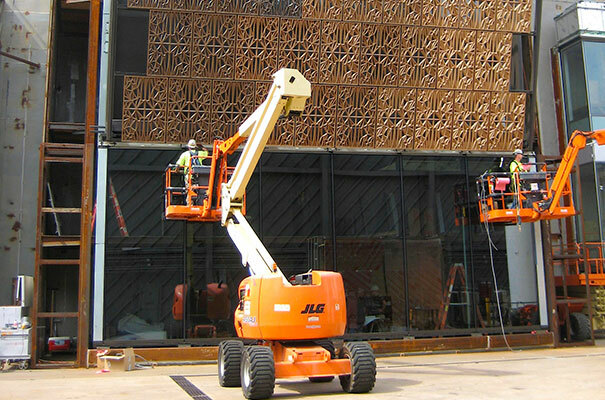 The results were stunning, earning high praise from the contractor, the Smithsonian and the Commission of Fine Arts.